Whether you are looking for the reassurance of an ongoing relationship, help during a key phase of your child’s development or for someone to help you in a review, our range of support services have been specifically designed for parents who need expert support. We understand and have experienced first hand, just how isolating it can be living with a person with additional needs. Everyday can feel like an uphill struggle and like you’re always on the back foot. Our affordable service can change all that. We’re here for advice and guidance, pointing you in the right direction or deciphering the latest letter to hit your doormat. We can help support you through a crisis, be by your side at crucial meetings or act as co-ordinator between agencies to ensure everyone is working towards the same aspirations. What’s more, you will be kept up to date with the new information and legislation, especially that which will impact on your specific situation. Encompassing education, health and social care, this is a perfect starting point for those seeking on-going and everyday support. We recognise that, as parents, sometimes you just need an answer or an update without being on hold for half an hour. You might need an independent view or to know you’re heading in the right direction. You may have received a letter, email or report that you can’t make head nor tail of, or are concerned that your child isn’t making progress but are unsure of your options. For a one-off, fixed fee , with no ongoing commitment, we can help with our quick fix service. You ask the question, we have a chat and agree the best course of action. Simple as that! NEED ACCESS TO EXPERT SUPPORT? Education, Health and Care Plan requests can be hugely confusing. If you think your child or young person (aged 0 – 25) may have special educational needs, you have a right to request an assessment of those needs. We can support you through the process from beginning to end. We are though, realistic enough to advise you if we think there may not be enough reason to submit a request. We are trained to write requests and are able to co-ordinate and gather supporting evidence from other professionals and agencies involved to ensure the process is as smooth and pain-free as possible. Guided firmly by the Children and Families Act 2014 and the SEND Code of Practice we know exactly what responsibilities Local Authorities have and what information they must provide you with so you can be assured that your request is in the best possible position. If there are on-going unresolved issues we can support you at mediation meetings with the aim of reaching a solution. Independent Support is a Government funded service to provide support to parents and young people who are either transitioning from a statement of Special Educational Needs or Learning Difficulties Assessment (LDA) to an Education, Health and Care Plan (EHCP), or those who are new to the assessment process. The quality of our training and the determination of our staff has meant we’re not only delivering Independent Support in Greater Manchester, but also to families in other parts of England who have chosen to use us over their free, local service. We don’t see cases or clients, we see people and it’s important to us that they are supported in the best possible way. This is a specific service to support parents who have a child who is either starting school, moving from infants to juniors (year 2 – 3), from primary to secondary (year 6 – 7) or from key stage 3 to 4 (year 9 – 10). We also work with young people facing the daunting prospect of life post 16 or post 19 as they move into adulthood. We empathise with how traumatic these transition points can be and work with you throughout, to make the journey as smooth as possible. We can co-ordinate the different settings/placements and arrange meetings to ensure appropriate provision is in place. From there we can request extended transition, more visits, taster sessions or closer home liaison. It’s a highly emotional time for families so our aim is to take away any stress and let you come to terms with your little one growing up! We can go through the timeline, the process, which bits are important. We recognise that independent living is an aspiration for most but not a reality for all. Yet this doesn’t mean that people shouldn’t be able to achieve some sense of independence, appropriate to levels and abilities. 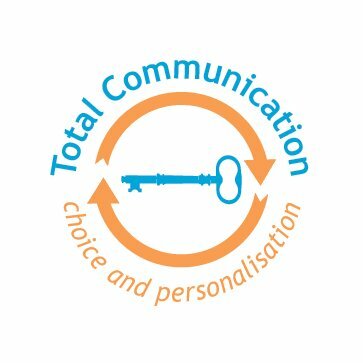 We can work with you and your young person to be clear on independence goals and go on to ensure that all agencies and services are communicating and working towards the same aspirations. We can assess whether the support and provision in place is aligned to these and make sure that it is regularly reviewed. A key part of the Special Needs Reforms, helping young people as they enter adulthood encompasses a range of new challenges and considerations for families. Out of the school bubble, they are likely to need guidance; whether they look to further education or to enter employment they may need support as they embrace independent living and new life skills. Mindful of the Mental Capacity Act and Deprivation of Liberty safeguards and changes in welfare benefits, we can take the time to look at their entitlements and create a bespoke solution tailored to their specific needs, abilities and most importantly aspirations. We know every child is different and believe any plan should reflect this. As a young person with additional needs, the world can be a very daunting place as you try to work out where you fit in. We understand that you just want to get on and live your life as independently as possible. So our services have been created specifically to be there as and when you need us, whether that’s a one-off plan of action or ongoing support. Having someone who gets where you’re coming from and crucially understands the impact of special needs, can be a massive comfort when you’re facing the world on your own. Sometimes it feels like everyone expects you to be the expert! Our affordable monthly membership is there to provide you with the reassurance of advice and guidance when you need it, pointing you in the right direction or helping you communicate with organisations and employers. We can help support you through a crisis, be by your side at crucial meetings and research your entitlements or options as new legislation emerges specific to your circumstance. You might just want an independent viewpoint. This is the ideal entry level for those seeking ongoing and everyday support. It’s not easy moving onto another college or setting, trying to co-ordinate everything while dealing with the anticipation of starting somewhere new. We can guide you through the transition, ensuring you remember everything from your paperwork to your toothbrush (!) and that appropriate provision is ready and waiting. We know it’s important to have someone there who isn’t necessarily a family member or part of the busy teaching staff and so can continue to be in contact throughout your time in further education and training. Personal Safety is very important and some young people can be, or feel, very vulnerable. From taking care when you are out and about, to being cautious online, we can help you to make the right decisions. We offer a free risk-assessment service to all members, which involves an informal chat about all aspects of safety, such as social media privacy settings, who to trust online and in real life and how we can help you to stay safe. Alternatively you may feel you are overprotected and want the opportunity to break free, so need support in convincing those around you that it’s ok. NEED TO CHAT TO SOMEONE ABOUT YOUR CIRCUMSTANCES? Working and contributing to society is an important part of life. It can build self-esteem and confidence, help you create friendships and give you a sense of pride and achievement, doing something for yourself and away from family. Wraparound Partnership can help you prepare for this important stage so you and any prospective employer fully understand your needs, whether that’s supported employment, flexible hours or adapted provision. We can provide you with career options to find the best employment solution for your specific circumstances and then support you through each stage as you progress. Nothing is more complex than friendships and relationships. But this is particularly true for young people who are disabled or have special needs, and is often one of their main concerns. It can be much harder to develop steady relationships or solid friendships if your social life is limited, so we can work hard to help you build your confidence, guide you through tricky situations and find social networks and support groups for you to become a part of, all the while being mindful of your aspirations in life. We can work with you to find the best social support package for you. We can coordinate agencies and professionals so that you have access to these social activities, as we know the important role this plays in mental wellbeing. The term independence means different things to different people, some will never be able to be fully independent, while others can be, as long as the right support and provision is in place to enable that to happen. We put you and your aspirations, views and wishes at the centre of all our thinking and collaborate with you and any others involved so that we can get as close as possible to the ideals you wish for. We’re not afraid to challenge and consider alternative ways of overcoming the barriers to making this happen. To us, independence and leading a good life, in whatever form it takes, is the ultimate goal for all young people with special needs and disabilities. A happy and healthy family unit, in whatever form that takes, is so vital to sustaining the very best care for a child or young person with special needs. Our support can extend to all those who play a role, from carers to brothers and sisters, to grandparents and to aspects beyond legislation and logistics to include areas such as holidays, socialising and ‘me time’. Our membership package is an ideal choice for those looking for ongoing affordable support, not just for themselves and their child or young person coping with an additional need, but for the whole family unit. Working together can make a huge difference in achieving aspirations and everyday goals, but sometimes you need an impartial view, a co-ordinator, a negotiator or even a mediator! We can also help support you on decisions that affect the whole family from holidays and childcare arrangements through to house moves and schooling. Perhaps most importantly, we’re on the end of the phone when you just need to let off steam or have someone empathise with everyday challenges. We understand how emotionally draining it can be as parents and carers co-ordinating and supporting your child or young person. It can take over your whole life, not knowing whether you are doing the right thing or not. Often the last person you think about is yourself. But the emotional wellbeing of parents and carers has to come first. If you are not well, who takes over that responsibility? We can work with you to find practical solutions to give you more ‘head space’ or time to yourself, so that you are able to carry on in the best possible mind-set, after all your child needs you to be well. Brothers and sisters of children and young people with special needs are very often overlooked, but at times, need just as much support and encouragement as their sibling. They may feel frustrated and anxious about why their sibling is the way they are, and are bearing the weight of potentially taking on some of the caring responsibilities in future years. Often as parents we have the ‘guilt’ factor, are we spending too much time with one and not enough with the other? We work with you to explore how to support all of your children the best you possibly can. We can help all family members achieve good outcomes. We recognise the vital role grandparents, aunts, uncles and family friends play in the wraparound support for your family. When you have a child with special needs, the pressure can be intensified due to the demands of caring and coordination. We can work with you to map out who does what, when, how and why, to ensure that you as a family unit, including extended family, are receiving the best support possible from the services around you and source support where there are gaps. This is one of the most confusing areas for families. The legislation is complex and very difficult to navigate, let alone figuring out what the potential consequences are of the different options presented. We are able to give support and guidance to help make your choices easier as well a help source further specialist legal advice if required. We understand that finances and future planning for many can be a sensitive subject. Whether you claim Disability Living Allowance or Personal Independence Payments, or simply need help understanding what you are entitled to and how to fill out the forms, we can work with you to review your situation and ensure you are receiving the financial support you are entitled to. Future Planning is vital for everyone, but essential if you have someone with additional needs. Planning for the future of your family can be daunting – it takes time, resilience and strength to think in depth about the future and the ‘what if’s’. We can sit with you and work through your thoughts, help you formulate a plan and point you in the right direction to take it forward. Future planning is possibly one of the more important things you can do and if you do it early enough it will give you the clarity and the confidence to accomplish much more.